Cast off the MS Stena Danica, a ferry operated by Stena Line between Gothenburg, Sweden and Fredrikshavn, Denmark. This vessel from one of the largest ferry operators in the world, Stena Line, which offers numerous routes across Europe. 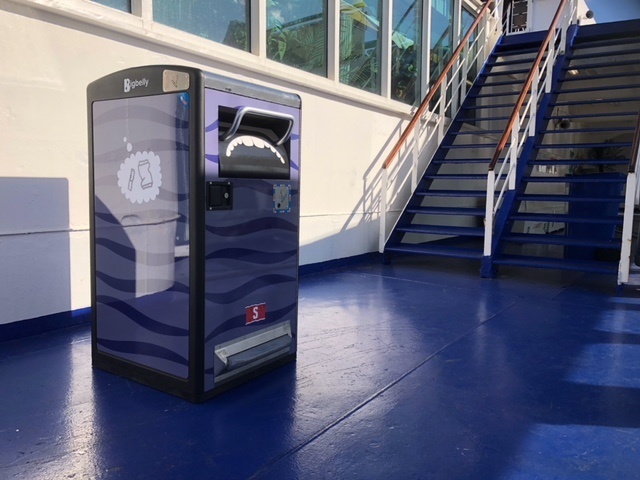 Passengers and crew on this ferry will now find Bigbelly's smart waste system on deck while sailing in the North Sea, each solar-powered waste compactors soaking up the plentiful sun. Bigbelly International Distribution Partner for Sweden and Denmark, EWF Eco, has worked closely with the ferry line to deliver custom branded high capacity solar-powered units on the deck of the MS Stena Danica. Join Bigbelly and our Indian Distributor, Masstrans, at the Waste Technology Expo in Bengaluru, India this week! This Expo coincides with the International Conference on Innovations in Municipal Solid Waste Management - an annual event with a guiding principal of providing effective waste management systems, providing cost effective solutions and assisting industries and government agencies in implementing technologies to reduce the public health impacts due to improper solid waste management. The Väla shopping center in Helsingborg, Sweden - a coastal city in southern part of the country and bordering with Denmark - is acclaimed as the area's top mall with over 200 shops for world class shopping. 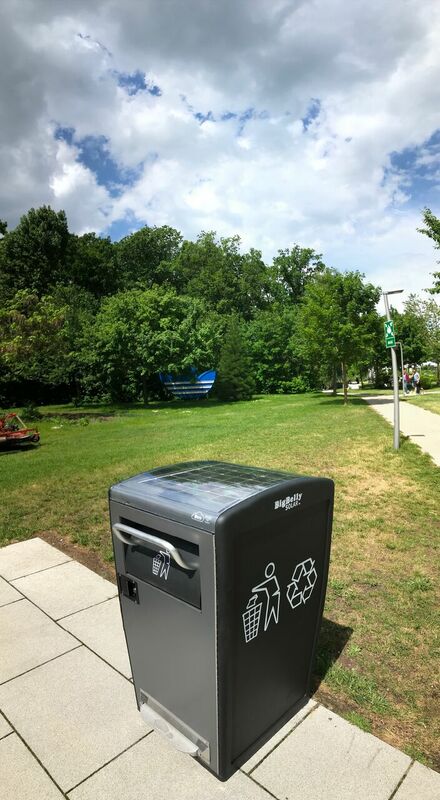 This shopping center has placed 12 Bigbelly Standard Capacity (SC5.5) bins around the facility the area to optimize their waste management routine. Smart Waste at Charlotte Douglas International Airport - Recycling on the Go! Charlotte Douglas International Airport in North Carolina is the 6th busiest airport in the United States and 7th in the world. With 46 million travelers pass through CLT each year (and growing! ), the airport turned to smart solution to manage their waste and recycling across the terminals... Bigbelly smart waste and recycling! Smart waste management is not only for use in municipalities and universities. 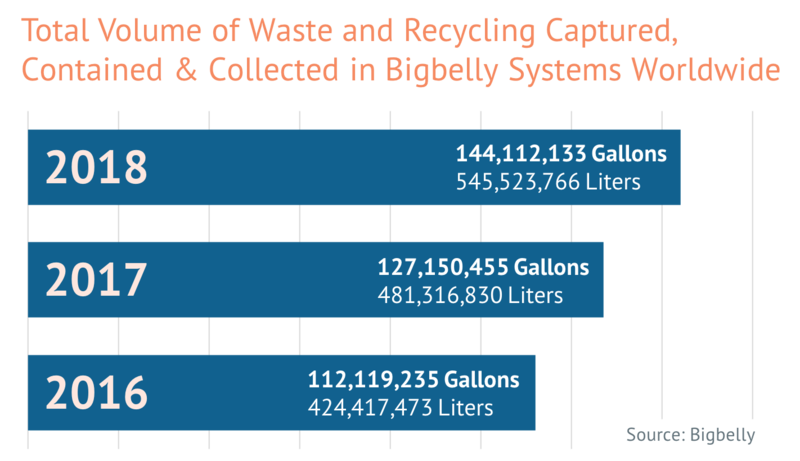 Bigbelly's smart waste system is deployed in private sector spaces - from grocery stores to office parks - to streamline productivity, reduce environmental footprint of operations, and keep their spaces clean and green. These venues use Bigbelly to automate much of the work needed to manage the all-too-frequent task of trash and recycling collection. 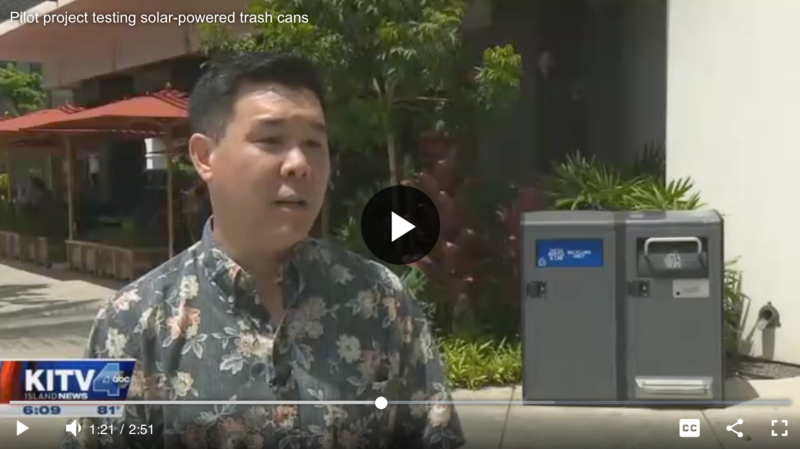 JTC Singapore deploys Bigbelly "smart waste bins that alert cleaners via SMS when full"
After a successful pilot for solar-paneled “smart” trash bins, industrial property developer JTC has put up more than 40 of these bins around the island. The bins, called Bigbelly bins, have an internal compactor to crunch rubbish and can handle about five times more trash than another of a similar size. They have an enclosed design that prevents scavengers, pests and odours, and are connected wirelessly for easy monitoring and management. We're looking forward to the 2018 Smart Cities Connect Conference & Expo this month (March 26-29 in Kansas City, MO)! Bigbelly takes the stage alongside Ruckus Networks on Thursday, March 29 to inspire city leaders about the impact a multi-purpose infrastructure platform that solves a core city service and continues to deliver more value by offering a hosting location for wireless technologies exactly where the people are.